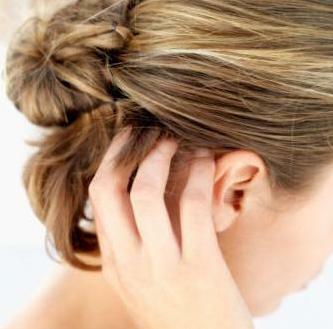 Itchy flaky scalp getting you down? If you'll give me a couple of minutes of your time I'll show you how a simple and little known herbal remedy can get rid of your itchy flaky scalp once and for all. An itchy flaky scalp can be caused by any number of things but often has to do with lifestyle, nutrition, infection or even an allergic reaction to the products you normally put on your hair. You see, most off-the-shelf products these days are so loaded with chemicals that in some cases they actually do more harm than good. Many anti-dandruff shampoos contain strong chemicals like Sodium Laureth Sulphate (the same ingredient used in engine degreasers), Propylene Glycol (found in antifreeze), and Silicone which is often found in leading brand conditioners and is used to add an artificial shine to your hair. Apple Cider Vinegar is an excellent little home remedy that has been used for many, many years to get rid of an itchy flaky scalp and dandruff. Wash hair with a mild, pH-balanced shampoo. There's no need to use a dandruff shampoo because the apple cider vinegar will gradually disperse and get rid of the dandruff and itchy flaky scalp problem. Mix together the apple cider vinegar with some warm water (2 parts vinegar to one part water). By adding a few drops of essential oils such as lavender or rosemary you will help to cleanse the scalp further and add a little fragrance to your hair. (Always remember to patch test oils in case of allergies, and always consult your doctor if you are pregnant). Pour the mixture directly on to clean hair or alternatively put it in a bottle and spray onto your scalp. Massage it in and let the mixture dry on your hair. There's no need to rinse it out (unless the smell bothers you). In case of more stubborn dandruff and itchy flaky scalp you can try a stronger mixture of vinegar to water, such as a one-to-one ratio. You could even try using the vinegar undiluted and applying it directly to the scalp. Leave it on for about 15 minutes and then wash the cider out with a mild, pH-balanced shampoo. You'll get the best results if you use raw, unfiltered apple cider vinegar to treat your dandruff. If you don't happen to have any apple cider vinegar, lemon juice can also be used instead. Essential oils can be used to soothe the itching. Mixing together Lavender, German Chamomile and Eucalyptus Oils with water (4 parts water to 1 part oil), and applying locally to affected areas will help to relieve your itchy flaky scalp. There are many remedies for an itchy flaky scalp and dandruff that you can make in the comfort of your own home. Check out my Itchy Scalp Remedies Website which will give you tons more information on the causes of your itchy flaky scalp and dandruff and how to cure them.